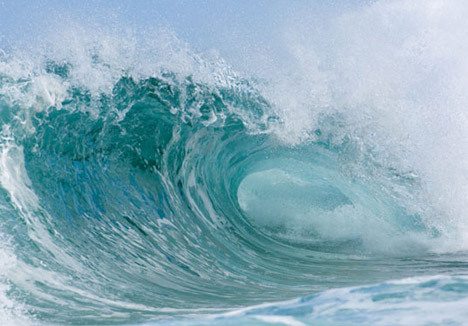 MORE than three dozen energy companies from across the world are hoping to install wave energy devices in a stretch of sea off the north of Scotland. The renewable energy firms all have their sights on the Pentland Firth, which is considered one of the best locations in the world for generating electricity from the power of the tides. Yesterday, the Crown Estate, which owns the seabed and will authorize any offshore wave energy project, announced it had invited 38 companies to submit detailed plans for schemes in the Pentland Firth. This is the first stretch of water off the UK to be opened up for development of marine renewables, meaning successful companies will be building among the first marine wave energy projects in the world. 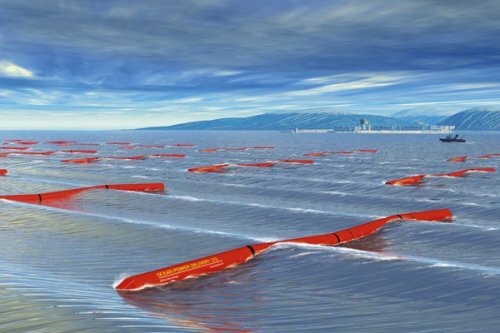 Each company hopes to install dozens, or even hundreds of wave energy devices, such as tidal turbines, in the ocean. 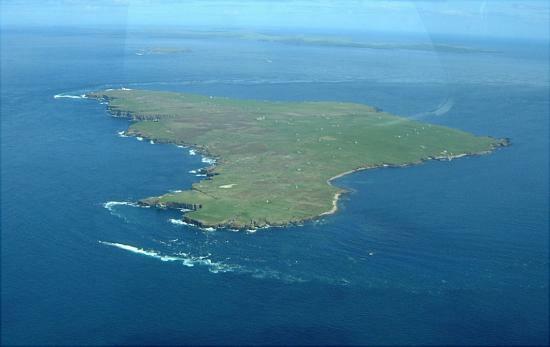 The Crown Estate invited initial expressions of interest in the Pentland Firth from renewables firms in November 2008. A spokeswoman said she could not reveal how many companies had shown an interest because of competition rules, but she confirmed 38 firms would be invited to the next stage – to tender for sites in the Pentland Firth. They must now submit detailed applications, spelling out how many devices they want to install in the water, by the end of May. The Crown Estate will decide which are suitable, and the companies will then have to apply for planning permission from the Scottish Government. 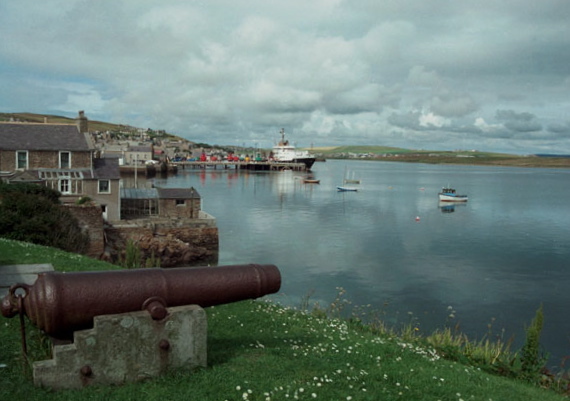 Calum Duncan, Scottish conservation manager for the Marine Conservation Society, welcomed renewable technologies, but said the possible impact of the devices on sensitive seabed habitats must be considered, including the likely affect on mussel beds and feeding areas for fish, basking sharks and seabirds. Liam McArthur, the Liberal Democrat energy spokesperson and MSP for Orkney, also welcomed the strong interest but had reservations. “This energetic stretch of water will be a challenging resource to tame,” he said. “We still know relatively little about the Pentland Firth and what will happen when we start putting devices in the water there. A shortlist of proposed plans to generate electricity from the power of the tides in the Severn estuary has been unveiled by the UK Department of Energy and Climate Change. UK Energy and Climate Change Secretary Ed Miliband has also announced £500,000 [US $702,000] of new funding to further develop early-stage technologies like tidal reefs and fences. The progress of these technologies will be considered before decisions are taken whether to go ahead with a Severn tidal power scheme. The tides in the Severn estuary are the second highest in the world. The largest proposal being taken forward has the potential to generate nearly 5% of the UK’s electricity from this domestic, low carbon and sustainable source. Cardiff Weston Barrage: A barrage crossing the Severn estuary from Brean Down, near Weston super Mare to Lavernock Point, near Cardiff. Its estimated capacity is over 8.6 gigawatts (GW). Shoots Barrage: Further upstream of the Cardiff Weston scheme. Capacity of 1.05 GW, similar to a large fossil fuel plant. Beachley Barrage: The smallest barrage on the proposed shortlist, just above the Wye River. It could generate 625 MW. Bridgwater Bay Lagoon: Lagoons are radical new proposals which impound a section of the estuary without damming it. This plan is sited on the English shore between east of Hinkley Point and Weston super Mare. It could generate 1.36 GW. Fleming Lagoon: An impoundment on the Welsh shore of the estuary between Newport and the Severn road crossings. It too could generate 1.36 GW.The proposed shortlist will now be subject to a three month public consultation which begins this week. “Fighting climate change is the biggest long term challenge we face and we must look to use the UK’s own natural resources to generate clean, green electricity. The Severn estuary has massive potential to help achieve our climate change and renewable energy targets. We want to see how that potential compares against the other options for meeting our goals,” said UK Energy and Climate Change Secretary Ed Miliband. Propellers on ships have been tried and tested for centuries in the rough and unforgiving environment of the sea: now this long-proven technology will be used in reverse to harness clean energy from the UK’s powerful tides. The tides that surge around the UK’s coasts could provide up to a quarter of the nation’s electricity, without any carbon emissions. But life in the stormy seas is harsh and existing equipment – long-bladed underwater wind turbines – is prone to failure. A Welsh renewable energy company has teamed up with ship propulsion experts to design a new marine turbine which they believe is far more robust. To ensure the propeller and electricity generation systems were as tough as possible, the tidal turbine’s designers worked with Converteam, a company renowned for designing propulsion systems for ships. “They’ve put them on the bottom of the Queen Mary … and done work for highly efficient destroyers, which is exactly the same technology that we’re looking at here,” said Chris Williams, development director of DeltaStream. DeltaStream’s propellers work in reverse to a ship’s propulsion system – the water turns the blades to generate electricity – but the underlying connections between blades and power systems are identical to those on the ship. A single DeltaStream unit has three propeller-driven generators that sit on a triangular frame. It weighs 250 tonnes, but is relatively light compared with other tidal systems which can be several times heavier. The unit is simple to install and can be used in closely packed units at depths of at least 20m. Unlike other tidal turbine systems, which must be anchored to the sea floor using piles bored into the seabed, DeltaStream’s triangular structure simply sits on the sea floor. The country’s first experimental tidal turbine began generating electricity in Strangford Lough, Northern Ireland last year, built by Bristol-based company Marine Current Turbines. SeaGen began at about 150kW, enough for around 100 homes, but has now reached 1,200kW in testing. It had a setback early in its test phase, with the tidal streams breaking one of the blades in July. A tidal turbine near the mouth of Strangford Lough has begun producing electricity at full capacity for the first time. The SeaGen system now generates 1.2MW, the highest level of power produced by a tidal stream system anywhere in the world. The system works like an “underwater windmill” but with rotors driven by tidal currents rather than the wind. It has been undergoing commissioning trials since May. SeaGen will now move towards full-operating mode for periods of up to 22 hours a day, with regular inspections and performance testing carried out. The power generated by the system is being purchased by Irish energy company, ESB Independent, for its customers in Northern Ireland and the Republic. The turbine has the capacity to generate power to meet the average electricity needs of around 1000 homes. Martin Wright, managing director of SeaGen developers, Marine Current Turbines, said that having the system generating at full power was an important milestone. “It demonstrates, for the first time, the commercial potential of tidal energy as a viable alternative source of renewable energy,” he said. “As the first mover in tidal stream turbine development, we have a significant technical lead over all rival tidal technologies that are under development.